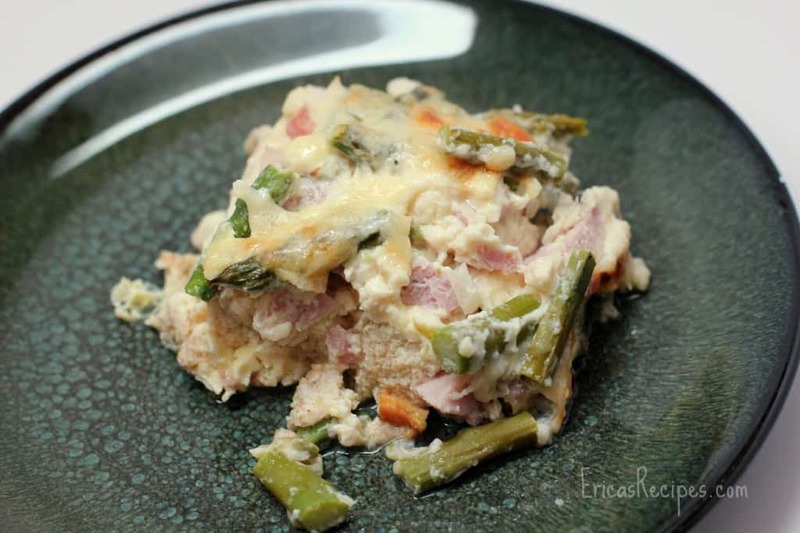 Ham, Asparagus, and White Cheddar Breakfast Strata is a perfect, easy breakfast recipe for the holidays, especially to use up leftover ham. Looking for a way to use up some holiday ham, this breakfast casserole was born. 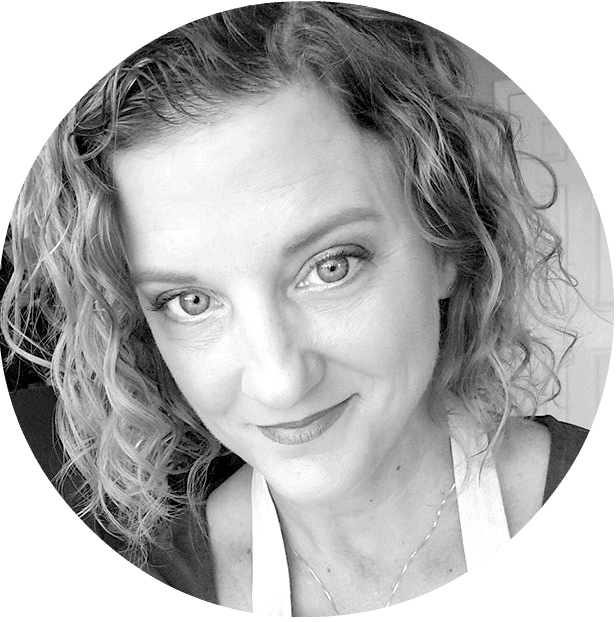 I love breakfast casseroles – they warm the soul. And this one is absolutely a keeper. It took just a couple minutes to assemble, spent the night in the fridge, then it just went right in the oven. This Ham, Asparagus, and White Cheddar Breakfast Strata is so tasty, and I didn’t use any butter, oil, or cream to keep it less damaging. Cut the tough ends off the asparagus and discard. Chop the remaining asparagus spears in 1-inch pieces. Boil 4 minutes, drain, and set aside. 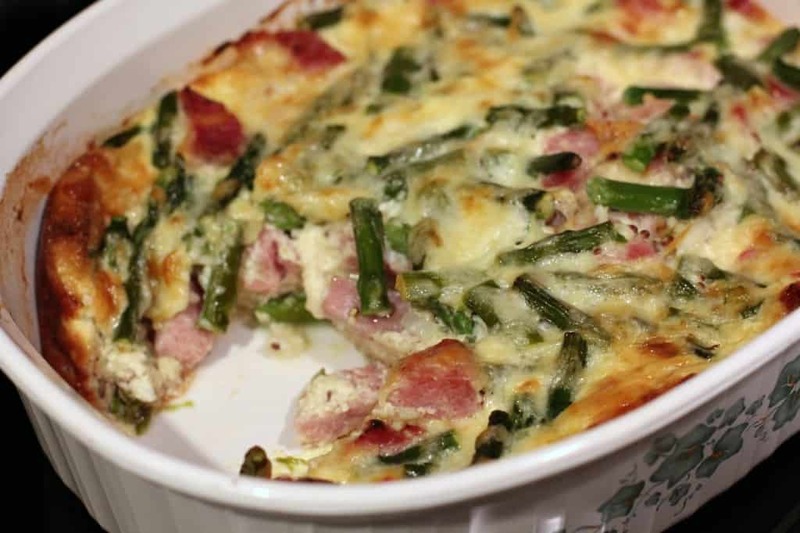 In a 2-quart casserole dish sprayed with cooking spray, layer the bread slices, 1 c cheese, ham, asparagus, and onion. In a bowl, whisk together the eggs, mustard, salt, pepper, garlic, and milk. Pour over the casserole. Refrigerate overnight. The next morning, heat the oven to 350F. While oven is heating, have the strata out of the fridge to start warming up. Cook the strata 45 minutes. Top with remaining 1 c cheese and bake 5-10 minutes more or until set. Serves 6. My ham gave off quite a bit off juice as this cooked. Not a problem, I just tilted the dish, let the juice run to a corner, and used a balled up paper towel to sop it up. I love breakfast casseroles too! This one looks great — I love that you used milk instead of heavy cream and that is has asparagus in it for some veggies.